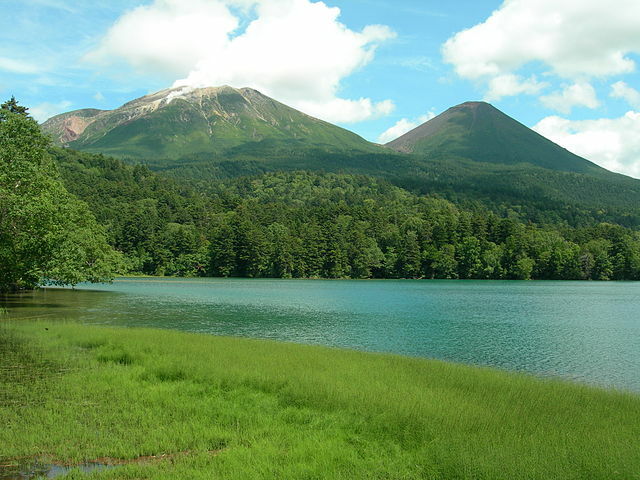 Akan National Park is located in the eastern part of the Island of Hokkaido. 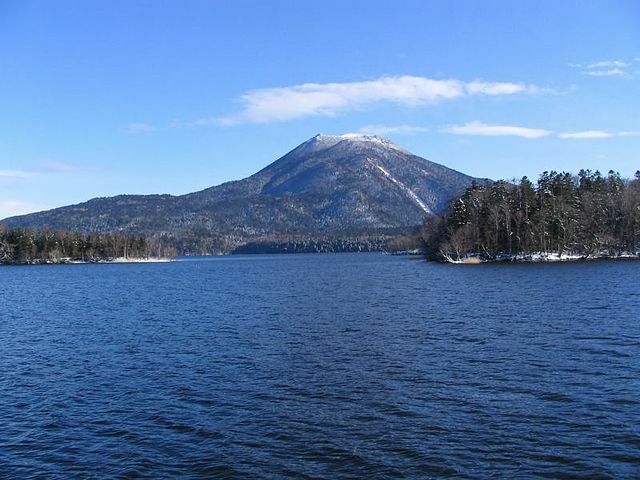 The park's attractions are its three sparkling clear mountain lakes, the eponymous Lake Akan to the west, Lake Mashu to the east and Lake Kussharo between them. 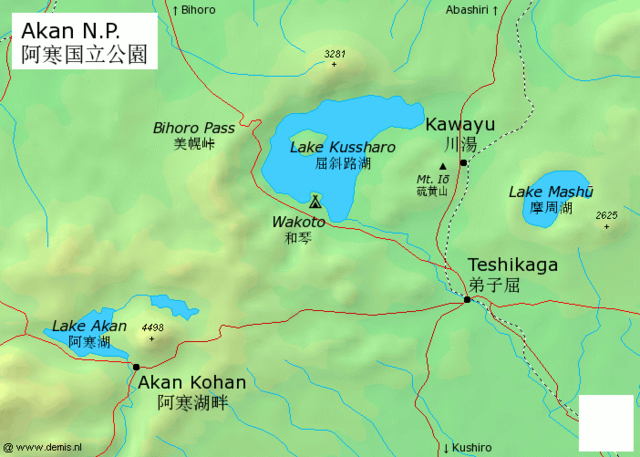 The largest settlement nearby is Teshikaga, to the south of Lakes Kussharo and Mashu. Buses are infrequent and cover only the main routes. A rental car will come in very handy here. Akan National Park can be divided into two general areas; Kawayu and Akan. Akan - the smaller, western portion which contains Lake Akan with the lakeside hot spring resort of Akankohan Onsen. Kawayu - the larger, eastern part which contains Lake Mashu, Lake Kussharo, Iozan "Sulfur Mountain" and centrally located Kawayu Onsen. Lake Akan "Akan-ko" – Akankohan is a lakeside hot spring resort around Lake Akan located between Kushiro city and Asahikawa city. 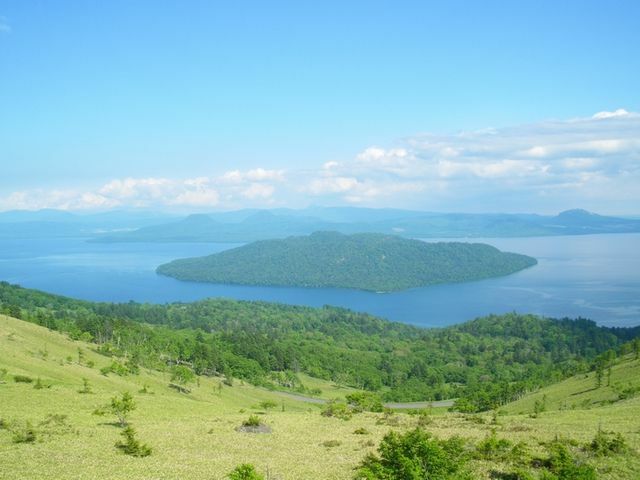 It is one of the largest sightseeing spot in Hokkaido. It has several ryokan, some of which have hot spring baths with views of the lake on their upper floors. Foot and hand baths are available too. Several hotels open their baths to non-guests during the day for typically 500 to 1500 yen. Lake Akan best-known of the trio, largely thanks to mysterious fuzzy green algae balls known as Marimo, which you can view at the free Visitor's Center. 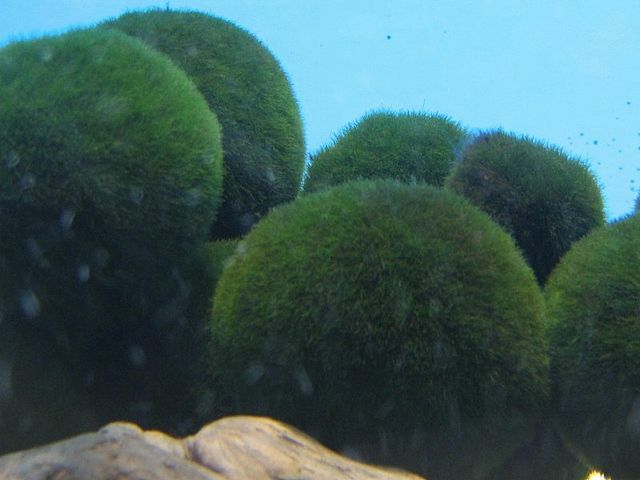 Churui Island is one of four islands in the lake and the site of the Marimo Exhibition and Observation Center. Pleasure boats leave Akankohan for 85 minutes’ cruises of the lake, which include a 15 minutes’ stop at the Marimo Exhibition Center. The lake also features boiling mud known as Bokke. The walking trails to Bokke site start next to Akankohan Eco Museum Center where information on Akan National Park and its wildlife is available. 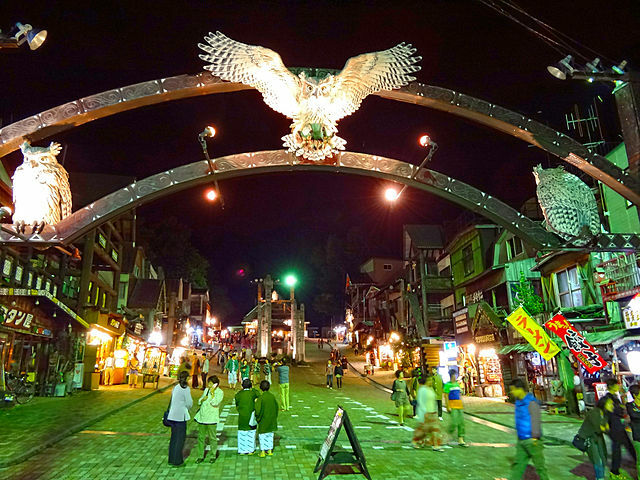 Ainu Kotan - A small Ainu village in Akankohan, which is basically a street lined by souvenir shops. There is a small Ainu museum at the end of the street displaying traditional Ainu crafts and life utensils. ​Next door in a hall traditional Ainu performances are held. Akan Caldera is a large caldera over 20 km across. Emerging from within caldera is the Akan Volcanic Complex, which includes the highest mountain in the park, Mount Meakan. Mt. Meakan makes for a nice day hike. There are several courses, and this is the simplest. Park your car at the trailhead near Nonaka Onsen. The trail starts 50 meters Northeast of Nonoka Onsen. The trail goes up and around the back side of the volcanic mountain. On a clear day, there are good views of a pond inside the crater, but this can be covered by steam or clouds. From near the top, a side trail leads to Akan Fuji. The loop continues downhill to Lake Onneto, where you can walk along the road or around the lake to get back to the parking lot. This 8 kilometers’ hike takes about 5 hours at a casual speed. The mountain trails are passable between June and October, and during the rest of the year they are likely to be buried under snow. 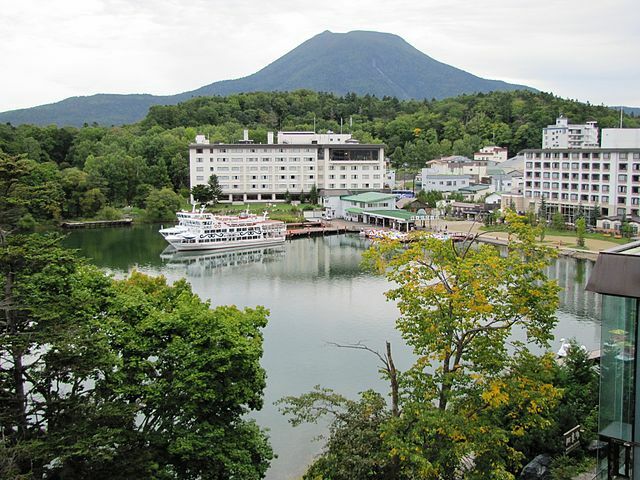 ​Kawayu Onsen is a small hot spring resort near Iozan "Sulfur Mountain", between Lake Mashu and Lake Kussharo. 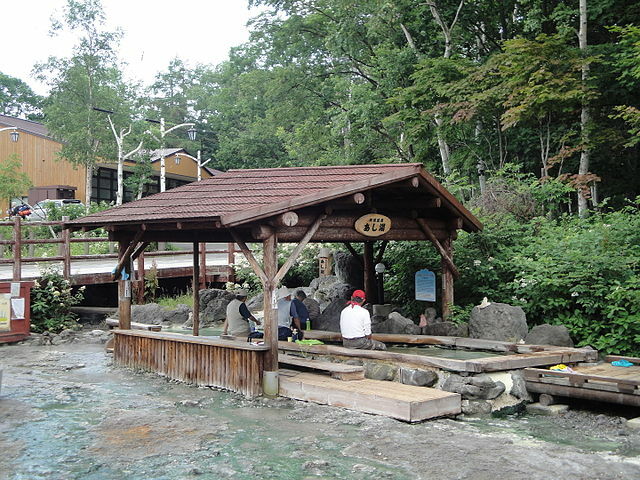 Kawayu's high acid hot spring and close proximity to the famous lakes makes it a popular base for visitors to the national park. 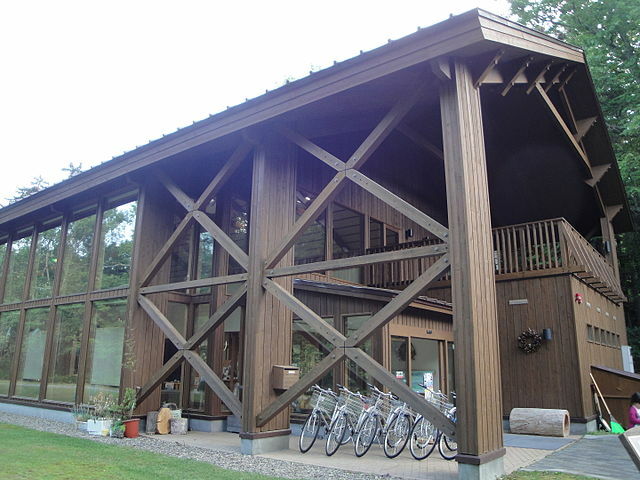 Kawayu Eco Museum Center offers general information on Kawayu Onsen and Akan National Park. 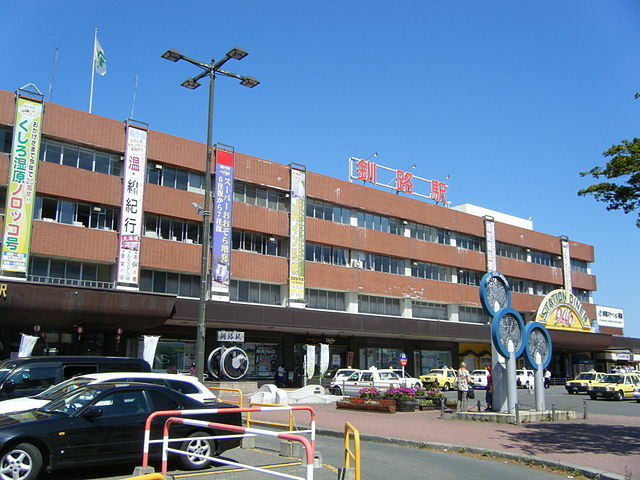 Besides convenient location and hot spring waters, Kawayu offers souvenir shops, restaurants, footbath and Taiho Sumo Memorial Hall which is dedicated to the town's favorite son and biggest star, Taiho Koki. Nearby, a pleasant walking path takes visitors though a flat and easy but interesting hike "2.5 kilmeters", starting off in luxuriant forest on a moss path before petering out into desert-like scrub as they approach the Iozan. Mount Io "Iozan" is an active volcano that is characterized by a surface that is bare and reddish-brown in color. 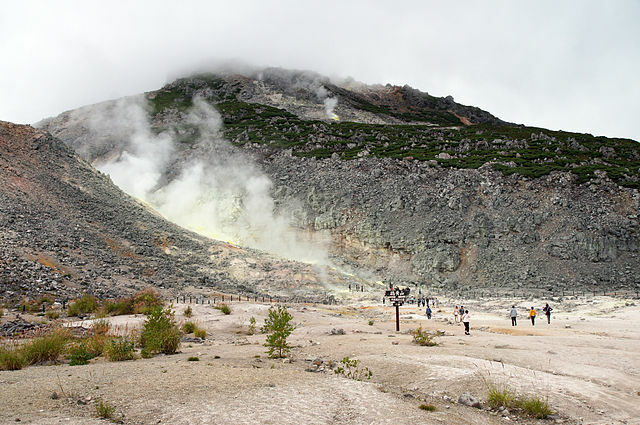 Its yellow, sulfurous vents can be viewed from a close proximity as visitors are free to walk around the steaming and smoking area. Eggs, cooked by the natural heat of the mountain, are usually on sale near the vents. Further refreshments are available from the Iozan Visitor Center. 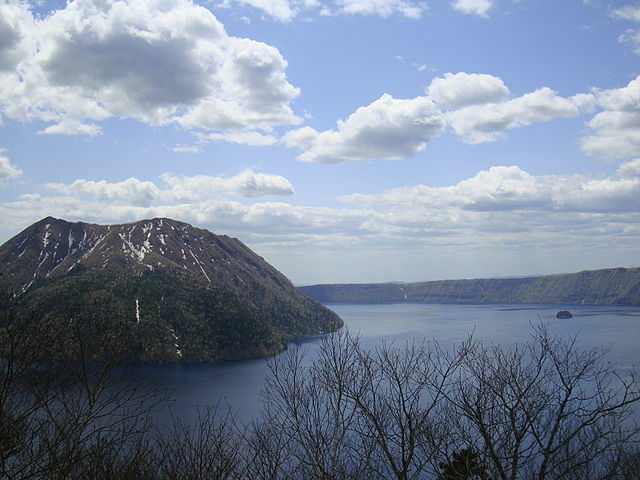 Lake Mashu is a caldera lake. It is one of the deepest lakes in Japan. It is also one of the clearest lakes in the world with the visibility up to 40 meters, although it is famously and frequently blanketed in heavy fog. The lake is entirely protected, without a single building along its pristine shores and it can only be viewed from two designated observation decks, known as Observation Deck Number 1 which is the larger and busier of the two, on the south shore. It comes with paid parking lot at nearby Mount Iozan, multiple viewing decks, a large shopping area with food stands. 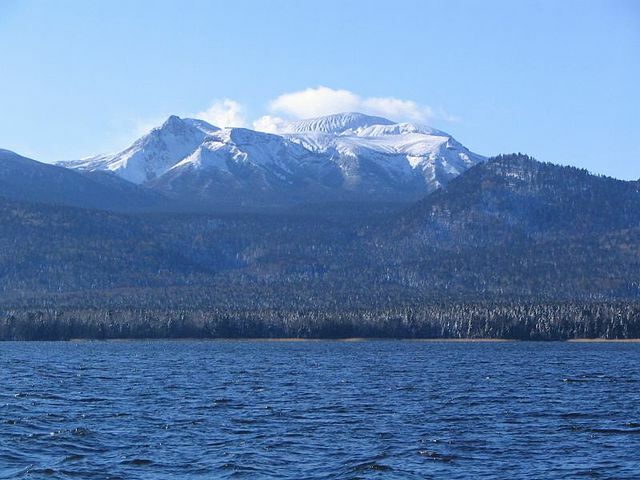 ​Observation Deck Number 3 is along the western rim of the caldera. Besides free parking here, there are no facilities provided. The observation deck number 2 is closed to the public. The Mashu-dake Hiking Course is a trail which leads from Observation Deck Number 1 along the crater rim and to the top of Mount Mashu. The trail leads through forest and grassland for about 7 kilometers and takes about 2.5 hours to hike one way. Access to the lakeshore itself is prohibited by the Ministry of the Environment. From mid-July to mid-October infrequent buses connect Lake Mashu's observation decks with JR Mashu Station "takes about 20 minutes". A 2-day passport for the buses is available for 1500 yen. 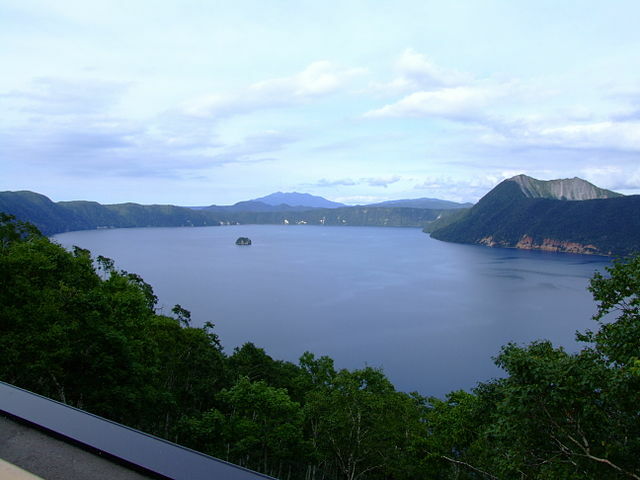 Lake Kussharo is also a caldera lake, but a bit livelier than the others as the volcanic peak of Mt. Wakoto, jutting out from the southern shore, still bubbles with geothermal activity. An easy trail runs around the island. 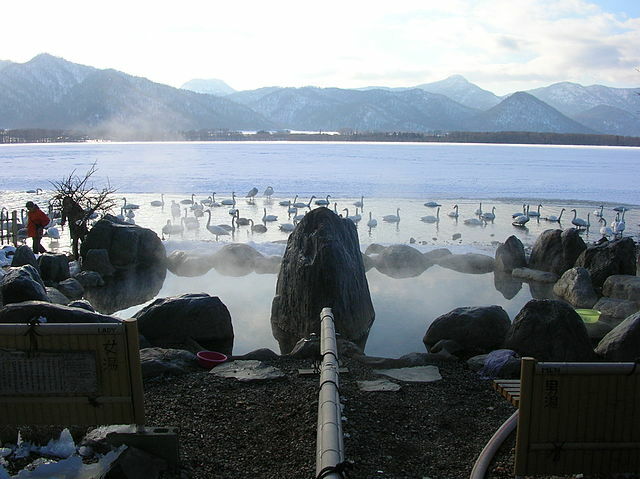 There are several outdoor hot spring baths which are located along the lake's shores and can be used for free. Unlike most other hot spring baths in Japan you can wear swim suits here. However, some of these baths do not look very clean. At the lake’s southern end, Wakoto Peninsula is an area with high ground temperatures and uniquely adapted wildlife. The peninsula offers attractive walking trails through the forest with couple of outdoor baths. From mid-July to mid-October, there are infrequent buses between Bihoro Pass, the western shores of Lake Kussharo, the town of Kawayu Onsen, Mount Iozan, JR Kawayu Onsen Station and Lake Mashu. By Air - The nearest airports are in Kushiro, an hour and a half to the south and Memanbetsu, an hour and a half to the north. 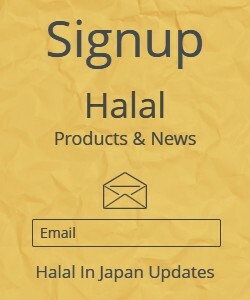 JAL, ANA and Air Do operate flights between Tokyo's Haneda Airport and both Memanbetsu Airport and Kushiro Airport "about 90 minutes’ plane ride". From Kushiro Airport, there are direct Akan Buses to Lake Akan "takes about one hour". 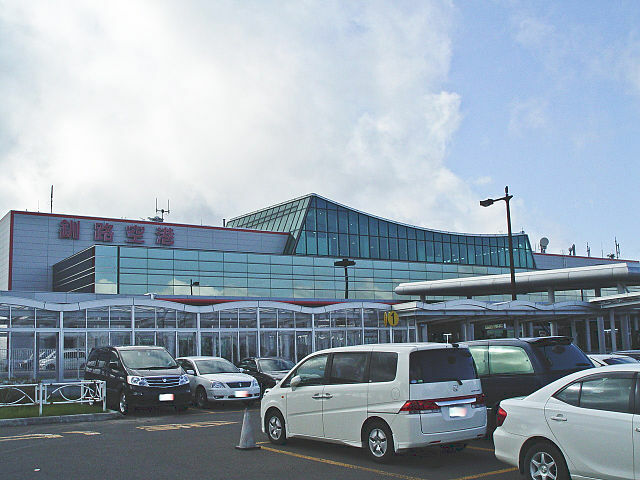 From Memanbetsu Airport, take a bus into Abashiri "takes about 25 minutes", from where you can take the JR Senmo Line to Kawayu Onsen and/or Teshikaga "Mashu Station", "takes about 2 hours". Train - The JR Senmo Line runs north-south across the Akan National Park on its way from Abashiri to Kushiro, stopping at Kawayu and Teshikaga "Mashu station". There are 3-4 trains daily from Kawayu to Abashiri "takes about 2 hours" and 6-7 trains to Kushiro "takes about 2 hours". JR Limited Express Train runs via Obihiro "takes about 2.5 hours", and to Kushiro "takes about 4 hours". Bus - There are 4 buses daily between Lake Akan and Kushiro Station. Akan Bus also operates various sightseeing bus tours. Infrequent buses connect the lakes to each other and the train station at Bihoro. In season "May-October" bus service is available to Lake Onnetto, serving the Meakan and Akan Fuji trail-heads. Pay a visit to Akan Tourist Information Center and pickup maps and guidebook.